Presentamos un caso de muerte súbita de una lactante de tres meses de edad. La autopsia reveló una miocardiopatía hipertrófica y la muestra de sangre del cordón umbilical almacenada fue utilizada para análisis molecular. Mediante la secuenciación de siguiente generación (NGS) de 4813 genes (exoma clínico), se identificó una variante patogénica en el gen ELAC2, (c.210_222 del p.Gly71ThrfsTer26) en estado heterocigoto y otra variante probablemente patogénica en el mismo gen (c.1177C>T p.His393Tyr) en estado heterocigoto, asociadas con miocardiopatía hipertrófica. Adicionalmente, se identificó una variante patogénica en el exón 358 del gen TTN, (c.104515C>T, het p.Arg34839X) y una VUS (variante de significado incierto) en el gen MYPN (c.2428C>T, p.Arg810Cys), la cual podría tener un efecto aditivo en el fenotipo de la paciente. 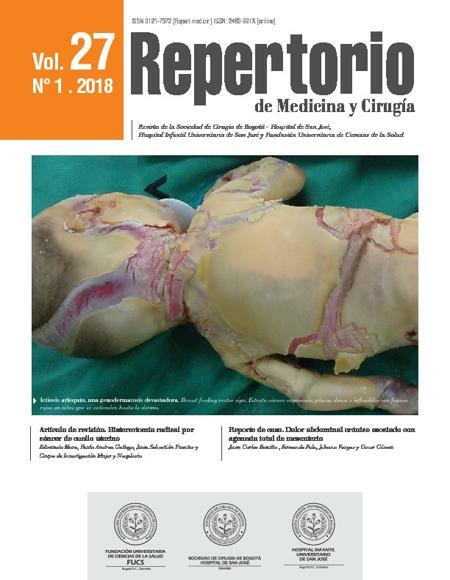 Así mismo se observa un polimorfismo de riesgo en el exón 16 en el gen LRP8, asociado con enfermedad coronaria (CAD) e infarto de miocardio prematuros (MI) (NM_017522: c.2066G>A, het, p.R689Q). La cardiopatía hereditaria es una causa probable de muerte súbita cardiaca, el análisis molecular por NGS puede ayudar a realizar un diagnóstico precoz para predecir a edad temprana pacientes con riesgo potencial de muerte súbita cardiaca así como un asesoramiento genético dirigido. 1. Torkamani A, Muse ED, Spencer EG, Rueda M, Wagner GN, Lucas JR, et al. Molecular Autopsy for Sudden Unexpected Death. Jama. 2016;316(14):1492-4. Epub 2016/10/12. 2. Eckart RE, Shry EA, Burke AP, McNear JA, Appel DA, Castillo-Rojas LM, et al. Sudden death in young adults: an autopsy-based series of a population undergoing active surveillance. J Am Coll Cardiol. 2011;58(12):1254-61. Epub 2011/09/10. 3. Semsarian C, Ingles J, Wilde AA. Sudden cardiac death in the young: the molecular autopsy and a practical approach to surviving relatives. Eur Heart J. 2015;36(21):1290-6. Epub 2015/03/15. 4. Wilde AA, Behr ER. Genetic testing for inherited cardiac disease. Nat Rev Cardiol. 2013;10(10):571-83. Epub 2013/08/01. 5. Behr ER, Dalageorgou C, Christiansen M, Syrris P, Hughes S, Tome Esteban MT, et al. Sudden arrhythmic death syndrome: familial evaluation identifies inheritable heart disease in the majority of families. Eur Heart J. 2008;29(13):1670-80. Epub 2008/05/30. 6. Lahrouchi N, Behr ER, Bezzina CR. Next-Generation Sequencing in Post-mortem Genetic Testing of Young Sudden Cardiac Death Cases. Frontiers in Cardiovascular Medicine. 2016;3:13. Epub 2016/06/16. 7. Tester DJ, Ackerman MJ. The molecular autopsy: should the evaluation continue after the funeral? Pediatr Cardiol. 2012;33(3):461- 70. Epub 2012/02/07. 8. Behr E, Wood DA, Wright M, Syrris P, Sheppard MN, Casey A, et al. Cardiological assessment of first-degree relatives in sudden arrhythmic death syndrome. Lancet. 2003;362(9394):1457-9. Epub 2003/11/07. 9. Tan HL, Hofman N, van Langen IM, van der Wal AC, Wilde AA. Sudden unexplained death: heritability and diagnostic yield of cardiological and genetic examination in surviving relatives. Circulation. 2005;112(2):207-13. Epub 2005/07/07. 10. Richards S, Aziz N, Bale S, Bick D, Das S, Gastier-Foster J, et al. Standards and guidelines for the interpretation of sequence variants: a joint consensus recommendation of the American College of Medical Genetics and Genomics and the Association for Molecular Pathology. Genetics in medicine : official journal of the American College of Medical Genetics = Genet. Med.a 2015;17(5):405-24. Epub 2015/03/06. 11. Li Q, Wang K. InterVar: Clinical Interpretation of Genetic Variants by the 2015 ACMG-AMP Guidelines. American journal of human genetics. 2017;100(2):267-80. Epub 2017/01/31. 12. Bagnall RD, Semsarian C. Role of the molecular autopsy in the investigation of sudden cardiac death. Progress in Pediatric Cardiology. 2017;45:17-23. 13. Towbin JA, Lowe AM, Colan SD, Sleeper LA, Orav EJ, Clunie S, et al. Incidence, causes, and outcomes of dilated cardiomyopathy in children. Jama. 2006;296(15):1867-76. Epub 2006/10/19. 14. Colan SD, Lipshultz SE, Lowe AM, Sleeper LA, Messere J, Cox GF, et al. Epidemiology and cause-specific outcome of hypertrophic cardiomyopathy in children: findings from the Pediatric Cardiomyopathy Registry. Circulation. 2007;115(6):773-81. Epub 2007/01/31. 15. Rossmanith W. Localization of human RNase Z isoforms: dual nuclear/ mitochondrial targeting of the ELAC2 gene product by alternative translation initiation. PLoS One. 2011;6(4):e19152. Epub 2011/05/12. 16. Haack TB, Kopajtich R, Freisinger P, Wieland T, Rorbach J, Nicholls TJ, et al. ELAC2 mutations cause a mitochondrial RNA processing defect associated with hypertrophic cardiomyopathy. Am J Hum Genet. 2013;93(2):211-23. Epub 2013/07/16. 17. Shinwari ZMA, Almesned A, Alakhfash A, Al-Rashdan AM, Faqeih E, Al-Humaidi Z, et al. The Phenotype and Outcome of Infantile Cardiomyopathy Caused by a Homozygous ELAC2 Mutation. Cardiology. 2017;137(3):188-92. Epub 2017/04/26. 18. Bang ML, Centner T, Fornoff F, Geach AJ, Gotthardt M, McNabb M, et al. The complete gene sequence of titin, expression of an unusual approximately 700-kDa titin isoform, and its interaction with obscurin identify a novel Z-line to I-band linking system. Circ Res. 2001;89(11):1065-72. Epub 2001/11/22. 19. Hackman P, Vihola A, Haravuori H, Marchand S, Sarparanta J, De Seze J, et al. Tibial muscular dystrophy is a titinopathy caused by mutations in TTN, the gene encoding the giant skeletal-muscle protein titin. Am J Hum Genet. 2002;71(3):492-500. Epub 2002/07/30. 20. Furst DO, Osborn M, Nave R, Weber K. The organization of titin filaments in the half-sarcomere revealed by monoclonal antibodies in immunoelectron microscopy: a map of ten nonrepetitive epitopes starting at the Z line extends close to the M line. J Cell Biol. 1988;106(5):1563-72. Epub 1988/05/01. 21. Vikhlyantsev IM, Podlubnaya ZA. New titin (connectin) isoforms and their functional role in striated muscles of mammals: facts and suppositions. Biochemistry Biochemistry (Mosc). 2012;77(13):1515- 35. Epub 2013/02/06. 22. Granzier HL, Labeit S. The giant protein titin: a major player in myocardial mechanics, signaling, and disease. Circ. Res. 2004;94(3):284-95. Epub 2004/02/21. 23. Chauveau C, Bonnemann CG, Julien C, Kho AL, Marks H, Talim B, et al. Recessive TTN truncating mutations define novel forms of core myopathy with heart disease. Hum Mol Genet. 2014;23(4):980-91. Epub 2013/10/10. 24. Herman DS, Lam L, Taylor MR, Wang L, Teekakirikul P, Christodoulou D, et al. Truncations of titin causing dilated cardiomyopathy. N Engl J Med. 2012;366(7):619-28. Epub 2012/02/18.